chairs or loving laps. They have us to comfort them from bad dreams in the middle of the night. a doggie and kitty treat when no one is looking. My husband says he will not spoil them but who else would open the snack cupboard. We have gone to the dogs around here and that will be by design and plan. This is a special plan for special friends. concerning to prospective adoption leaving them with few choices. 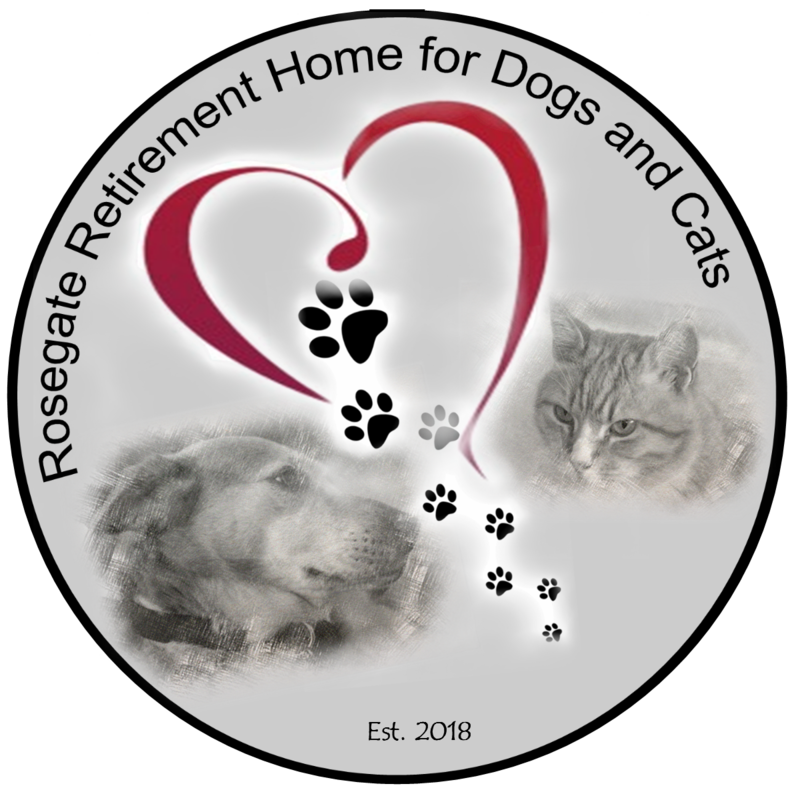 Rosegate Retirement Home for Dogs and Cats lets seniors be spoiled. They deserve that luxury in the older years of their lives. We will be their final family and provide what circumstances they could not control has taken from them. Many have asked why a home for senior dogs and cats? At first they laugh or wonder why an old dog or cat would even need a new home. like this and wonder why there are not more. to us and the rest will come with faith and footsteps one after the other. any size or kind would further the cause and it is vital to the success of Rosegate.. The Vision: Our neighbor has several buildings on a few more acres adjacent to us and he may just be persuaded to help us achieve Phase One. Purchasing what will be (hoping) Rosegate. storage facility or a crematory. UPDATE: Well, our neighbor will not sell his land and we wont waste time waiting for him. one day our patience will be rewarded. We decided that we will still make Rosegate a reality; right in our own home on 3 acres property! We had generous donations, so we were able to install the fence on our property. classical veterinarian doctors and healers as well as friends who can share in the fun times and activities. With a gentle lake only down the road summer days wading in the waters seems like a good idea for all involved. Bring the water wings for the little ones and sunblock for the old noses! .help us build the dream.